I wrote to you, and also to Professor John Harris, in October 2008, presenting evidence of unethical behaviour within the University of Manchester. This evidence related to collaborative work between myself and the University into an impact cushioning mechanism that I had invented in 1986. I referred to this mechanism as Shock Absorbing Liquid or SALi Technology. Your information was passed on to the University Research Governance Office. This resulted in a formal Investigation into my complaints being held. I received my copy of the Formal Investigation Panel’s report in January 2010. Possibly, you have also received a copy, or at least a summary of it. To the innocent eye, this Report appears to be rigorous and balanced. It also appears to come to a “good” conclusion, in dismissing all of the complaints that I had submitted to you. But the Formal Investigation Report fails in its duty. The Background section of the Report includes a number of damaging statements about me that are easy to verify as false. The attached documents support my claim. The main body of the Report then adds further false statements about me, leading the reader to conclude that I am professionally incompetent and have breached commercial confidence with the University. Here is an illustrative example of my “incompetence”. To appreciate this example, it is important to recognise that SALi Technology is a mechanism, not a material. 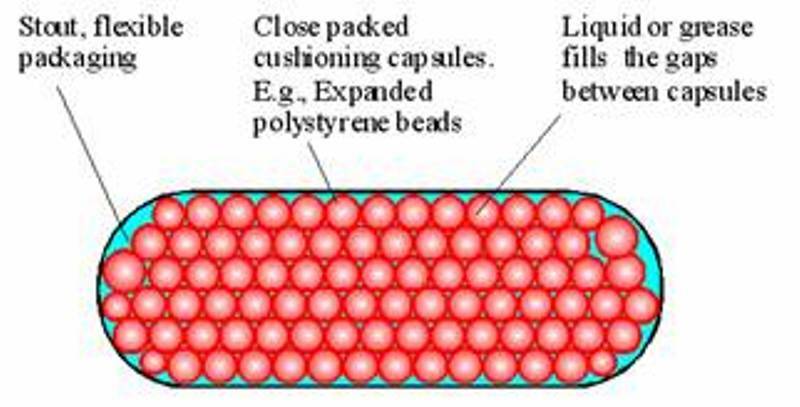 My MPhil thesis and Journal papers describe an impact cushioning mechanism involving different types of elastic capsule, different liquids and different sizes of packages. This provides engineers with a virtually infinite range of types of impact energy absorbing cushions. Figure 1. A SALi cushion can be constructed from a wide range of elastic capsules and different liquids. Further variety can be added by changing the shape and volume of the packaging. Shamefully, the Report tricks the reader, by reversing the truth. It claims that I promoted SALi, naively believing it possessed a single ideal stress-strain curve that had the ability to solve the wide range of impact problems that were the subject of the Manchester research. This trick statement about my naive “beliefs” makes me look stupid by academic standards. The Formal Investigation Report offers no evidence to verify that this committee ever existed. Certainly I do not know of any, and had never heard of it before reading the Report. In contrast, one purported member of the “Committee”, Dr Eugenio Toccalino, has provided me with a written statement that he was not a member. Another purported member, Dr Xinqun Zhu, resigned from his PedSALi research post and went home to China in 2003. A copy of Dr Toccalino’s denial and further details of this trickery are provided in a letter to the Information Commissioner, in the enclosed folder. It was my understanding that the fabricated nature of the Report constituted a breach of my rights under the terms of the Data Protection Act, so I complained to the Information Commissioner about it. However, as you can read from the attached copy of the Commissioner’s response, the Commission does not have the resources to deal with such a technical and complex complaint. In the short term, the Commissioner’s response will allow the fabricated Report to stand. But a new complication threatens to expose it. Since my earlier letter to you, I have discovered that the Chinese government has funded SALi research at Nanjing University. 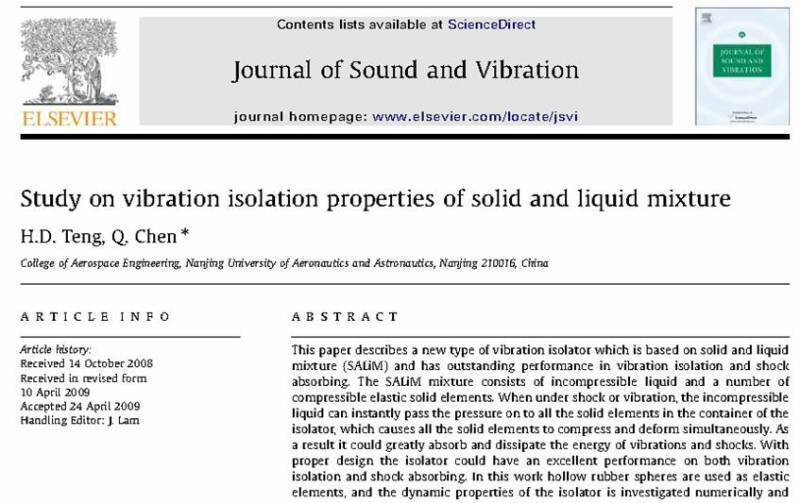 The Chinese are using an experimental design described in my MPhil thesis (which is cited) and very promising results are being published. Cardiff University has also published good results, but progress is extremely slow, because Manchester has claimed the grants for the work, and Cardiff is working on a shoestring budget. This information, including a full copy of the journal paper below, was supplied to the Formal Investigation Panel. The Institute will be ridiculed if it emerges that SALi Technology is advancing in China, while its development is being hampered in Britain, because of unethical conduct within Manchester University. The Institute cannot keep its fingers crossed and hope that the Chinese fail to develop SALi Technology. The Formal Investigation process lies at the heart of science quality control. All ethical scientists should stand up, to ensure that it is not abused. Irrational opponents of science, such as those who have hounded Professor Jones at UEA, oppose population planning and support intelligent design will be eager to exploit Manchester’s abuse of the Formal Investigation Process. I appeal to you as a champion of ethics in science to spend some time studying my case, as made out to the Information Commissioner. Then, if you conclude that the Formal Investigation Report is misleading, call for the retrieval of all copies and their destruction. To deliver justice to me, the falsehoods in the Report should be acknowledged, and my reputation restored as detailed in the complaints in my letter to the Information Commissioner. I apologize for the discomfort and personal inconvenience that my request may cause you. Letter to the Information Commissioner. The case for the destruction of all copies of the Formal Investigation Report starts on page 18 of the letter. Hard copy exhibits, as supplied to the Commissioner, plus additional exhibits on a CD ROM.